How do I make a REST connection to the Assetwolf IoT portal? Assetwolf supports both simple REST (http GET) and MQTT protocols for receiving data from remote assets. 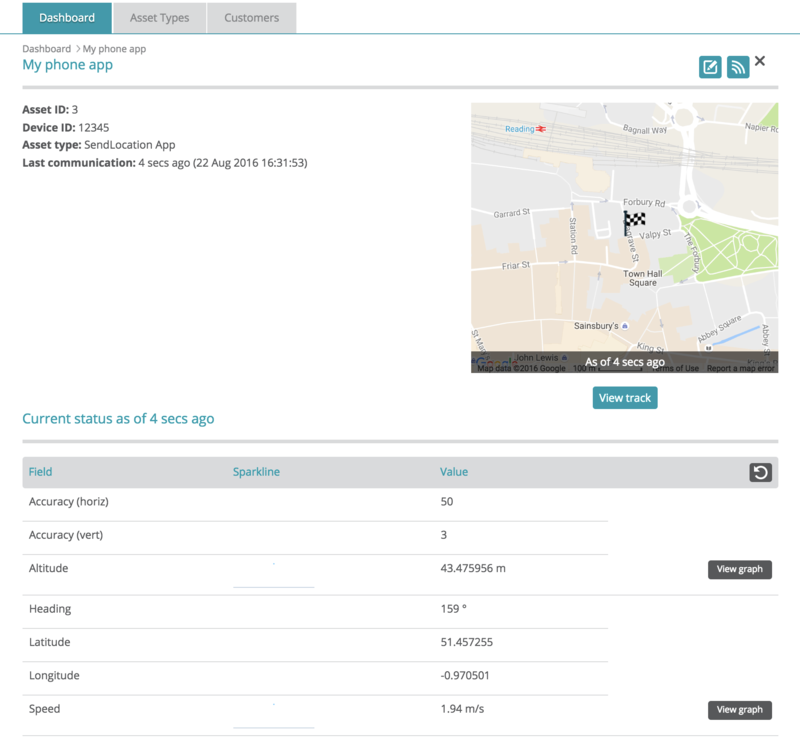 MQTT is best: we recommend this for production situations and where data payloads are complex, and Assetwolf has more features for MQTT. But to get a simple connection going youmay find it easiest to start with http GET requests. Here's our guide to get you started quickly with GET. Multiplex prefix: leave this blank; this is an advanced feature that allows a single communication device to send data for a group of assets (we'll cover this in another guide). You'll need to select an asset type from the drop-down menu; this determines the data fields that will be recorded for that asset. Some asset types are defined for you, but otherwise you can create a new asset type or specify an existing one. 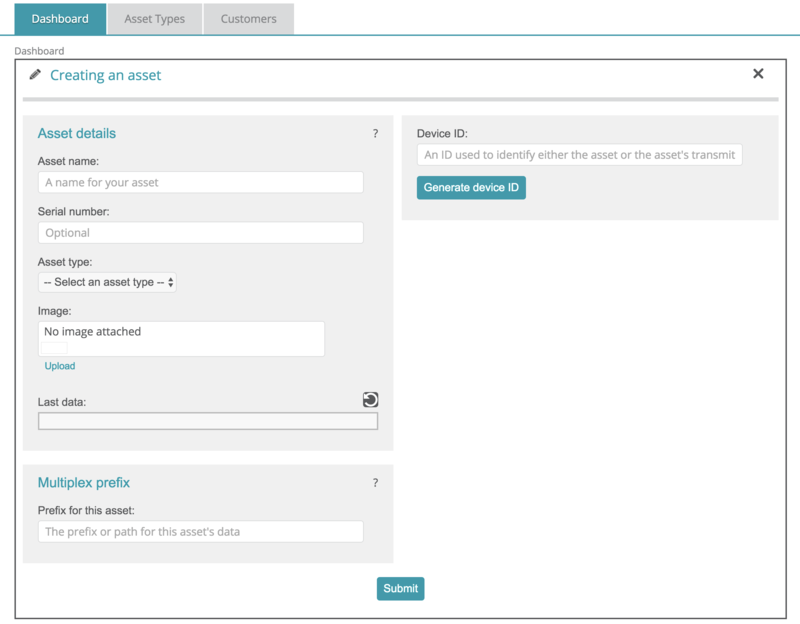 For the Device ID, you can click the "Generate device ID" button to auto-generate an ID for the asset. If you don't like the ID, just type in an ID yourself. You can of course copy the ID from the device if it already has an ID. It doesn't matter which you do, but the important thing is that the Device ID entered on Assetwolf must correspond with the Device ID that the asset uses to identify itself. The pop-out window will show you the connection string for your asset. 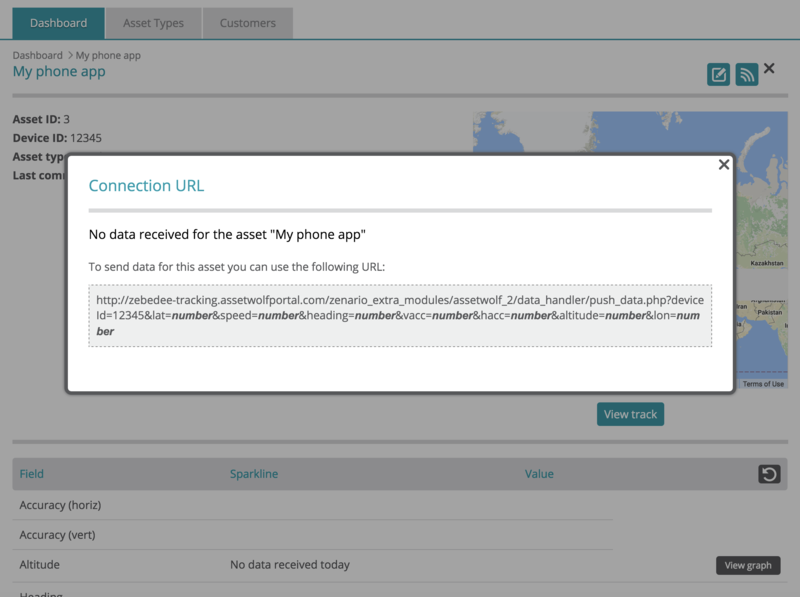 Have a look at the GET request shown there, your asset will need to send that data. It will pre-populate the string with the device ID of the asset, and then show you the fields expected. If your asset is programmable - many people use Python or C for example - you should make your program output the string as shown, replacing the italicised fields (e.g. number) with real values. You can send Boolean, with "1" or "0", or "true" or "false". You can send text strings, but if these contain spaces or special characters they will need to be URL-escaped. If you see something like the above, your asset is sending data successfully. Graphs and other fields will appear when enough data has been sent through.